Instead of using a bunch of different ingredients to complicate their dishes, co-owner and managing partner Monique Rose Simms and executive chef Sammy Davis, a 2012 winner of Food Network’s Chopped, rely on the food’s freshness and flavors. “The quality of our product is what makes it good,” Simms says. 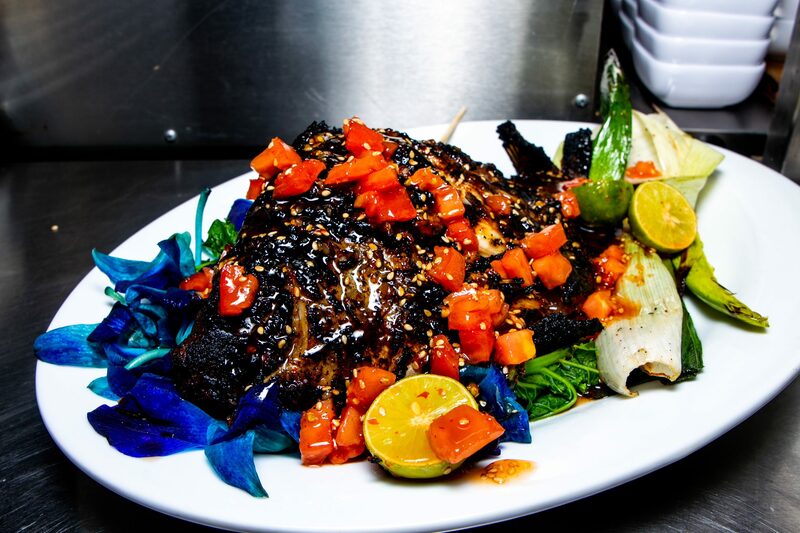 Its whole red snapper, for example, is flown in fresh daily from Chile—Chef Davis learned the importance of using fresh fish when he was working at Nobu in New York City.